﻿ Book Residencial Las Palmeras de Willy (Boca Chica) - 2019 PRICES FROM A$43! 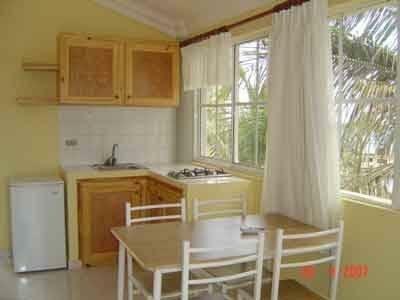 Located next to Boca Chica Beach, Residencial Las Palmeras de Willy features studios and apartments with sea views. There is an outdoor swimming pool, a sun terrace and a pool-side bar. Las Palmeras offers airport transportation at an extra cost. Las Américas International Airport is 15 minutes’ drive away, while Boca Chica’s center is 0.9 mi away. There is a casino just 328 feet away. Private guided tours and trips to Saona and Catalina Islands are arranged every week. Surrounded by lush vegetation, each bright studio and apartment comes with air conditioning, a fan and a private terrace. They have a lounge with TV, a full bathroom and a kitchenette. Free WiFi is included. The Residencial has a restaurant and a barbecue, and the pool-side bar specializes in exotic-fruit smoothies. Guests have discounts for the local Pelicano Club, which features a unique platform over the Caribbean Sea. The property will contact you after you book to provide any transfer instructions. Please inform Residencial Las Palmeras de Willy of your expected arrival time in advance. You can use the Special Requests box when booking, or contact the property directly using the contact details in your confirmation.